Without the grant, day student tuition for the 2018-2019 school year is set at $9,300.00 for either high school or middle school cadets. Local students residing in the 65265 zip code are encouraged to apply for the Mexico Community Scholarship, a full-tuition scholarship for selected qualifying students. *Charges for additional uniform articles such as insignia for cadet rank, ribbons, pins, patches, shoulder cords, etc. may be incurred and will be applied to a cadet’s quartermaster account as the expenses arise. Activity fees: MMA offers a wide range of activities, varsity sports, and intramural sports that are provided in the fee structure shown above. 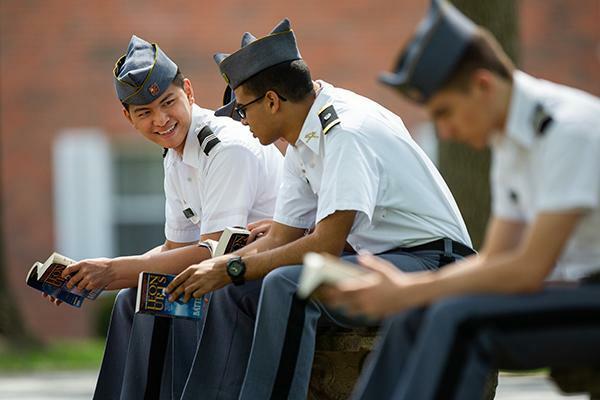 Cadets can also participate in optional activities which may require additional charges. Ask your Admissions Counselor for a complete list. English as a Second Language Summer Camp: All new international students applying, whose primary language is not English, will be required to take a TOEFL JUNIOR, or TOEFL exam prior to acceptance with the purpose of determining their level of English proficiency. This examination can be a deciding factor for acceptance, and will also determine if ESL Camp will be required. Results will be determined by the Dean of Academics and the International Relations Coordinator. For more information or to enroll, email admissions@missourimilitaryacademy.org or call 1-888-564-6662 x 321.